Engine Sensors: What Are Different Engine Sensors And How They Work? A modern car’s Engine Management System consists of a wide range of electronic and electrical components. It comprises engine sensors, relays, and actuators that work together. They provide the car’s Engine Control Unit with vital data parameters essential to govern various engine functions effectively. 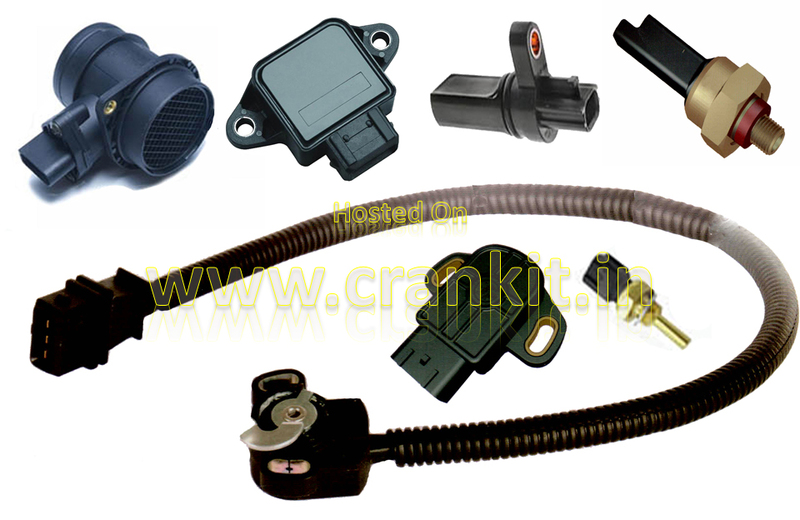 Generally speaking, Engine sensors are the electro-mechanical devices which monitor various engine parameters. An engine uses different types of sensors. The are Thermo-couples, Resistance Temperature Detectors (RTDs), and Hall Effect sensors. A thermocouple sensor is a temperature measuring device. It converts temperature into the electric charge. Thermo-couples use two different conductors which contact each other at one or more spots. Thus, it produces voltage. It, in turn, sends the signal in the form of electric current to the ECU. Thermo-couples are commonly used as temperature sensors. It measures and controls the temperature such as in the case of Engine Coolant Temperature. RTDs or Resistance Temperature Detectors also measure the temperature. However, they do so by correlating the resistance of the RTD element with temperature. RTD element is made of pure metals such as the platinum, nickel or copper. 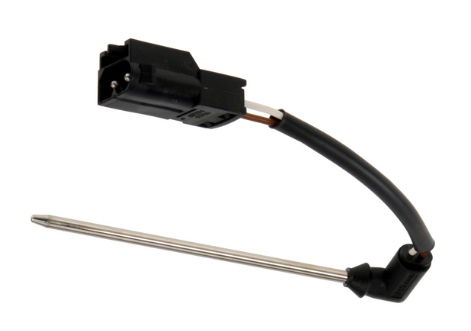 An air conditioning evaporator unit uses this type of probe sensor. A Hall-Effect sensor comprises a transducer which varies its output voltage according to the magnetic field. Typically, Hall-Effect sensors detect the speed or velocity. The positioning applications in automobiles use this type of sensor. So, they are used for detecting the Crankshaft speed or its position. Furthermore, the engine sensors provide the Engine Management System with vital data parameters in real-time. These engine sensors continuously monitor the engine parameters. They also provide the ECU with changes that occur in the data from time to time. Based on these inputs, the ECU re-calculates the correct air-fuel ratio and ignition timing. It also calculates and supplies the correct amount of fuel to the engine under various load conditions. Thus, after calculating the fuel quantity, the ECU sends signals to various relays and actuators. They include the Ignition Circuit, Spark Plugs, Fuel Injectors, Engine Idling Air Control valve, and Exhaust Gas Re-circulation (EGR) valve. Thus, it extracts the best possible engine performance while keeping emissions as low as possible. Since all the sensors connect to the ECU, in turn, it can also monitor them for a malfunction. The ECU collects signals from faulty sensors and stores them in its memory. You can diagnose these faults through two methods. Firstly, by reading the ECU memory with the help of ‘fault codes’. Or, thru' sophisticated engine diagnostic equipment supplied by the vehicle manufacturers. Home » Technical Anatomy » Engine Sensors: Which Are Different Engine Sensors And How They Work? Honda Nomenclature: How Honda Names It’s Models? How Rain-sensing wipers work in a car?